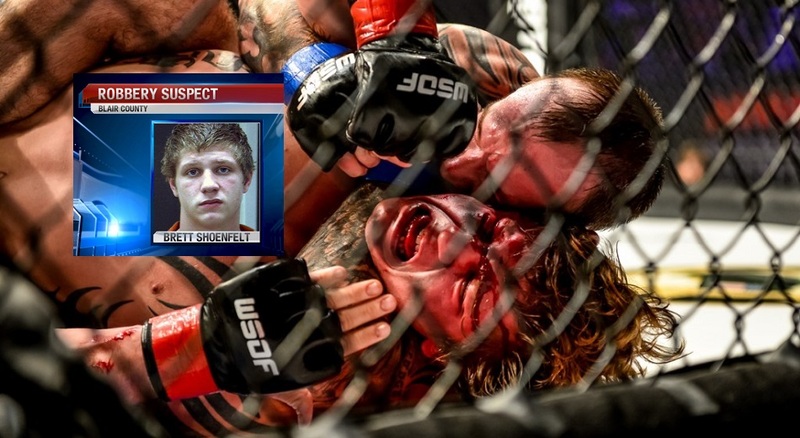 Professional mixed martial artist Brett Shoenfelt (8-6 pro, 6-2 amateur) is currently in Blair County Prison, facing Robbery, Simple Assault, theft and Criminal Mischief charges. Pennsylvania State Police arrested Brett “Showtime” Shoenfelt, 26 after he allegedly assaulted a woman and stole her phone. They say he was following a woman too closely in his vehicle, trying to force her off the road. Shoenfelt then allegedly smashed out her car window, grabbed the victim by the neck and assaulted her. 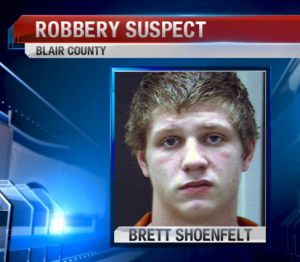 Police say he then stole her cell phone and fled the scene. According to mixedmartialarts.com Shoenfelt has a fight scheduled for March 19 against Eric Attard at Gladiators of the Cage in Pittsburgh, Pennsylvania. MyMMANews reached out to Gladiators of the Cage to see if the fight will proceed as scheduled. As of press time no response has been received. The biggest stage that “Showtime” performed on was a World Series of Fighting card at the Sands Casino in Bethlehem, PA. He lost that fight to Matt Secor via rear-naked choke. Shoenfelt’s last fight was more than a year ago for GOTC, a split decision win over Andrew Osbourne.